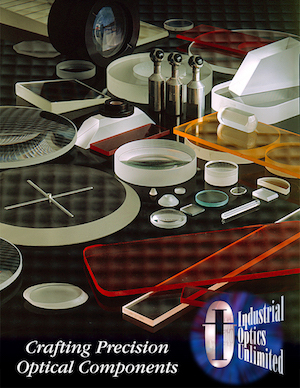 Industrial Optics provides precision quality optics to many industries for many different applications. We are proud to serve the following industries and look forward to working with any other industries that use optical components. Continuous advances in these fields are enabling new approaches to prevention, diagnostics and treatment. Optics continue to play a very important role in the ever changing medical and life science industries. Industrial Optics has been consistently manufacturing optics for these industries for many years and is excited to continue to support and provide quality optical components for use in these medical/health advancements. Rapid advances in semiconductor technology over the past 50 years have enabled electronic devices to become smaller, faster, and more reliable. Industrial Optics is proud to be an optical component provider to many leading manufacturers in this field. Through careful attention to precision, quality, and adapting to the needs of our customers, Industrial Optics will continue to the serve the needs of this ever growing market. Technological advancements in detection, surveying and weaponry are imperative to the security and defense industry. Industrial Optics is proud to provide precision quality optics to military and private sector defense industries as well as sub contractors. Our in house fabrication capability can meet the critical needs of these industries. The study and exploration of the universe continues to be at the forefront of science and technology. Industrial Optics continues to serve the needs of both aerospace and astronomical industries by providing high quality optics for many fascinating applications. The use of optics in manufacturing has resulted in continuous improvements in manufacturing capabilities. Industrial Optics understands the need for high quality reliable optics at reasonable pricing for use in many industrial applications. We continue to work closely with our industrial/commercial customers to help provide solutions for their optical requirements. Research and development is imperative for the design phase of innovative instruments and equipment. Industrial Optics is proud to provide optical components for use in research and development. Industrial Optics welcomes both small and large companies and is equipped to handle the requirements from small/prototype runs to production quantities.